One of the difficult tasks when making a movie based on high profile events is keeping a movie interesting, especially when the audience knows the details and outcome of the story. When a story is on the news, especially in todays media, very few details are left out making it difficult. The events of the shipping cargo captain Richard Phillips who was abducted by Somali pirates in 2009 was world wide nightly news. It had the country on the edge of their seats during the entire ordeal. Most people probably even said at one point, “This would make a good movie”. They were right! Although a key to making it a good movie would be the right people, i.e. director, screen writer and star. To start with, the script was penned by Billy Ray who was fresh of the successful adaptation of the highly popular book, The Hunger Games. Now he was challenged with adapting another book, yet it was a true book. The detail he infused and flow he created was very well done. Next in line would be a director. Paul Greengrass may have been the perfect choice too. He is a well respected thriller and action director. One only needs to look at his work with Matt Damon in his final 2 Bourne trilogy films as well as the lesser know yet intense military Green Zone. These great credentials aside, he has a knack for telling thrilling true life stories. He made the gut wrenching and intense true story of 9/11 high jackers in the film United 93. Having experience a good results with the two key components to make this a good film, he seemed the most natural choice. The only piece of the puzzle left would be to find a leading man that can not only act well, but can come across as an average hard working man you feel like you could know. That ultimately left one name on the list, or at the least the most qualified to play the pat, and he took the role. 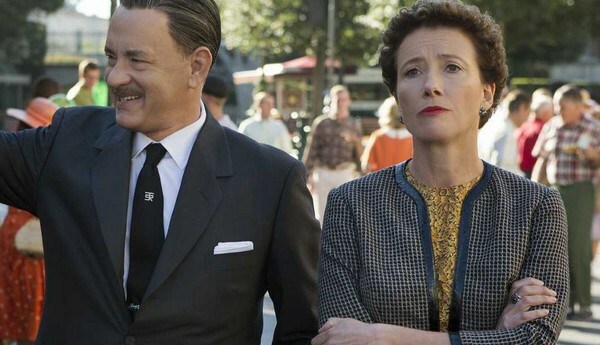 Tom Hanks pulled out a great performance throughout the film and managed to give his first of 2 fantastic performances of the year (see my Saving Mr. Banks review for his other great performance). The harrowing story of what happened to Richard Phillips was, no doubt a tough undertaking for all three.Despite what may have been difficulties, they all pulled it off and will all, hopefully, receive their due recognition come award times. That’s not to say any will win anything, but we all now know that the nomination is almost as much an award as the statue itself. Richard Phillips ordeal was intense and rode the line between life and death the entire time. He is worthy of having it told just because of his bravery for his fellow ship workers. Phillips was not in a war or already in a hard situation, he just had a survival and protection instinct that many a grateful for. 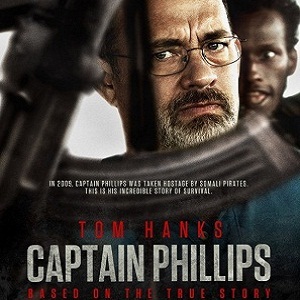 Captain Phillips is a well constructed film that despite knowing the outcome keeps you engrossed for the entire 2 hours plus. It’s worthy of the viewers time and his time is not misspent for a minute. Without question Tom Hanks is one of the biggest and most beloved stars in the world. Not to mention he is one of the most consistently great actors. Along with him, Walt Disney is still one of the most loved and revered people in Hollywood history. With that said, it only makes sense that these two iconic figures would merge into one as Hanks would be cast to portray Disney on screen. 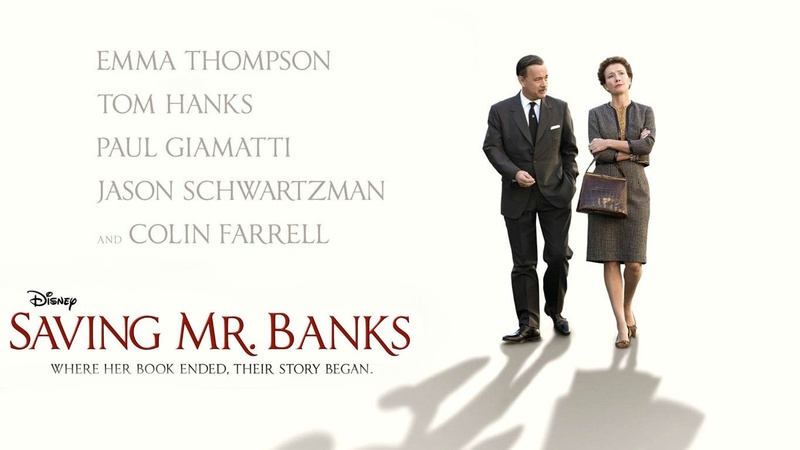 In Saving Mr. Banks, Hanks plays Walt Disney in the early 1960’s as he has been courting author P.L. Travers, who famous children’s book, Mary Poppins, Disney desperately wants to make into a major motion picture. Disney has been trying for over 20 years to get this done but has always hit a snag with Travers herself. Travers is now at a financial point where she is forced to consider it, but she wants it done her way. In an unprecedented move, Disney agrees to her demands. Unable to make everyone understand what her story means to her and how it is her way of dealing with the pain and anguish she experienced as a child, Travers reaches a point where she feels she can’t allow her beloved Mary Poppins to be exposed to the Hollywood and even bigger, Disney machine. Once Disney learns of Travers past and he has a true heart to heart discussion, in which he tells her his story and how he dealt with his difficulties as well, only then does Travers agree to let him bring Mary Poppins to life. The film is more than just the telling of how Poppins came to be one of Disney’s most treasured films. It is the story of Travers and her childhood and her struggle with her childhood into adulthood. It is also the story, somewhat of Disney himself and how much he enjoyed bringing joy to others and how that was more than a job or empire to him. The movie is still that and has to be treated as such. It is difficult to believe the process was so charming as it unfolded. More than likely it had ugly moments. It is no doubt romanticized in the Disney way, that doesn’t take away from the touching and heartfelt story it is. 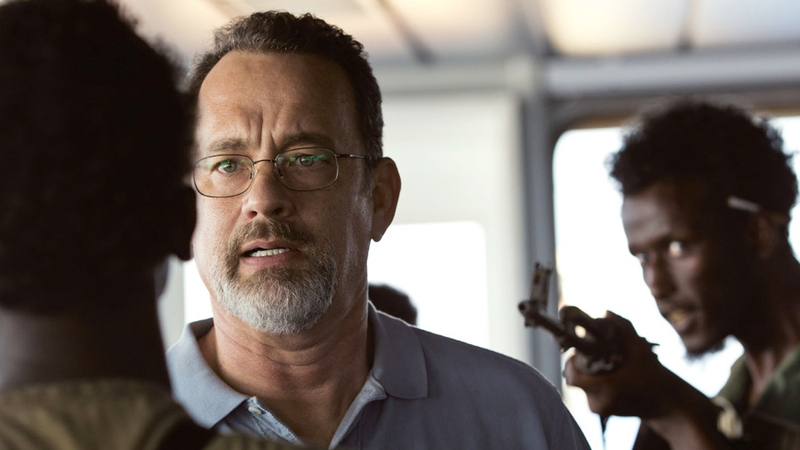 Hanks turns out his second strong performance of the year (the first being in Captain Phillips). His portrayal of Walt Disney is a great one more in the emotion that comes across and love for his creation and desire to keep bringing the best to his legions of fans. It may not be a mirror image of Disney but there is a similarity when you look at it. This is not surprising when you discover they are distant relatives in real life. Emma Thompson is yet another perennial great performer. Her performance of Travers is quite touching and captivating. You can see and feel everything she thinks. You are taken into her world and despite her not being the warmest or friendliest person you’ve seen you still end up rooting for her the whole time. It’s a movie about the human spirit and the power of movies and story telling in general. Everyone has a movie or story or character that has stuck with them throughout their lives. for many people Mary Poppins was one and now we get to see how that became to be and almost didn’t come to be. It’s just another in a long line of wonderful Disney films. Doesn’t it seem like sometimes some actors are everywhere? About 10 years ago it seemed Jude Law was in everything and it was even joked about at the Oscars. Before that Samuel L. Jackson was “the man” appearing in almost anything he could it seemed, even garnering himself and Academy Award nomination for Pulp Fiction. But right now it seems to be if you turn on your TV, pop in a DVD or catch a movie trailer, you can’t help but see one man’s face, Bryan Cranston. With an enormously popular show hitting it’s final season in Breaking Bad and fairly important roles in 5 major films this year, Bryan Cranston has been on a role. 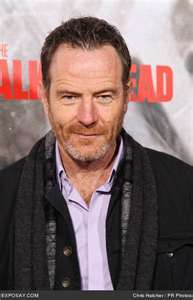 Many may have first started to notice Cranston as Hal on the very popular sit-com Malcolm In The Middle. The show ran for 151 episodes of which Cranston would eventually direct 7. But most of America unknowingly got to know Cranston as Dr. Tim Whatley on 5 various episodes of Seinfeld. He would consistently work for years until Malcolm In The Middle with small roles and guest spots in movies and TV. It has only been in that last couple years that he has been a fairly large presence in some of Hollywoods top films. Playing roles alongside some of the biggest names out their such as Matthew McConaughey in The Lincoln Lawyer, Ryan Gosling in Drive, Tom Hanks and Julia Roberts in Larry Crowne and being part of an all star cast in Steven Soderbergh’s Contagion. With roles stretching every end of the spectrum from Detective to philandering husband to car mechanic specialist, Cranston has proved he is one actor in Hollywood who can not be pigeon holed into a single type of role. His television career has proved the same from lovable father to sinister meth king. Though a steady working actor for 30 years, it has been that time that has allowed him to hone his craft and become one of the best at it despite still being vastly underrated. With his ability to adapt to any character and skills that allow him to play the purest of good guys to the most evil of criminals, he is hopefully someone that film makers will take a good look at despite the style they need played. He is truly an actor’s actor. He genuinely loves his craft and this is what has allowed him to at times take any role and run with it. I think it’s a rare breed of person that gets into the acting game not setting out for fame and awards (although he has a few of those too). Married to the same women for 23 years with whom he has a daughter, Cranston is one of the good guys, a grounded talented person. Any one who went and saw The Dark Knight Rises this weekend undoubtedly saw Cranston’s face with yet two major films set to release in Total Recall and Ben Affleck’s highly anticipated drama, Argo. Hopefully with Breaking Bad coming to a close we as film lovers will be seeing much more of Cranston on the big screen stretching his acting legs to lengths we can only imagine. Some years ago I remember having a conversation with a co-worker about who is/was the greatest guitarist ever. He was convinced that the best guitarist was some guy who non of us had ever met and who wasn’t and isn’t famous and never will be. I argued with him on this point but as time has gone by I believe he is right. I believe the same may be true for actors. The best actor is probably some man or woman doing small theater in a nowhere town who doesn’t have the confidence to try and make it big. That’s not to say there aren’t some outstanding working actors. It’s also fair to say that some actors, including famous ones don’t get their due justice. The focus here is to bring awareness to people who do and do not know who Sam Rockwell is and just how underrated his acting is. In all fairness to Sam there have been unwise choices but the great ones outweigh those. There are times that he acts for the love of acting or even for the experience of who he may be working with or for the enjoyment of playing the character he’s encompassing. Most people first caught a glimpse of Rockwell in the Tom Hanks movie The Green Mile as Wild Bill Wharton. That same year he was in the cult comedy Galaxy Quest as Guy Fleegman. A couple years later he would make a small appearance in Jon Favreau’s indie hit Made. It may have been a small role but it was a hilarious and memorable scene as the hotel clerk. After a couple shorts films and some very indie movies he met George Clooney and eventually won one of his most defining roles. Clooney was about to embark on his first directing project, an adaptation of the Chuck Barris autobiography, Confessions Of A Dangerous Mind. Rockwell won the prized role of game show host and creator Chuck Barris. He nailed it. With one of the best acting performances of the year he made you feel like you were watching The Gong Show all over again and played the role of a CIA assassin to perfection. He next teamed up with Nicolas Cage and Allison Lohman in the con man comedy, Matchstick Men. He career appeared to be on the rise. Then, as happens so many times, taking a role in what would be an epic failure. The highly anticipated adaptation of a beloved sci-fi classic novel and British mini-series, A Hitchhiker’s Guide To The Galaxy. The moved fell to critical and financial dismay. The next couple years would be commercially lean for Rockwell and he wouldn’t grab notable recognition until he was in the independent western movie, The Assassination Of Jesse James By The Coward Robert Ford. He would play Robert Ford’s brother, Charley. The one trouble with the Jesse James film wasn’t critical acclaim or poor box office numbers because it exceeded everyone’s expectations in those areas. The problem was Casey Affleck was so good he stole the show including reception of his first Oscar nomination for best supporting actor. Rockwell was back in the shadows as fast as he came out. Make no mistake, Rockwell was every bit as good as Affleck just going unnoticed. He continued to work and took a smaller but key role the next year in the critacly acclaimed Ron Howard project, Frost/Nixon based on the Broadway play. Once again acting out-shined Rockwell with stellar scenes that are instructional videos on great acting, between Frank Langella and Michael Sheen. Returning to the indie scene he tackled his best role and by far his most challenging. The low budget sci-fi thriller, Moon, seemed doomed from the start. With a budget of only 5 million and filmed during the writers strike and at the helm was a first time director, it seemed destined to fail. The pressure weighed all on Rockwell’s shoulders. With at least 95 percent of the scenes being him alone talking to a computer voice only rock solid performance could save the movie. As far as indie movies go? It was a smash success! Sam had done it. He had saved the movie without question with a once in a lifetime performance. Sadly again not many knew about Moon nor did the awards committees see fit to honor the great role he made. Rockwell has worked steadily including roles in Iron Man 2 and Cowboys and Aliens working with his good friend Jon Favreau. We can only hope that one day Mr. Rockwell will get his due justice, meanwhile keep your eyes open for what could just be his next great performance. It has been almost 10 1/2 years since the devastating attacks on 9/11. In that time stories both fact and fiction, have been in abundance in print, film and by word of mouth. These stories have been told for numerous reasons. They have showed us those who were courageous on that day. They showed us those who lost love ones. They showed us miraculous survivals and so on and so on. Some have been told specifically just to tug at our heart strings and some so that we may never forget the horror of that dark day. 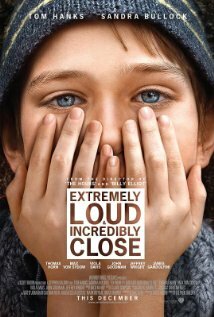 The trouble with “Extremely Loud, Incredibly Close” is that it doesn’t really have any of these identities. It does have frequent moments aimed directly at your heart and emotions which give it the feeling that they are there to pull a cry from the audience. From what I observed by the few that were in the theater and what I could hear it was wildly successful at this. The movie is, at it’s center about a painfully shy boy’s love for his father whom he lost on 9/11and his fear that he will forget and feel further away from his father the longer he has been gone. He discovers a key in a vase and, based on the adventures that he and his late father used to embark on, he feels this is his only chance to continue to feel close to his father. He believes this is the ultimate adventure and that the key will bring him the ultimate reward for his efforts from his father. He befriends an old silent man that is renting a room from his grandmother whom he unwittingly recruits to help with his search. Without giving too much away the movie has a very empty feeling and ending. With a completely unbelievable story line of a boy of no more than 10 years old spending every weekend exploring the entire NYC area alone without taking public transportation and showing up at complete strangers homes to find out what and if they know anything about his newly found key. Make no mistake it is still a sensitive issue and always will be for those who lived threw it and were in any way affected by it. The trouble is there hasn’t been one, blow your mind, good, movie about September 11th and the ones that have been well done and decent pictures have almost been too disturbing and hard to watch again (See United 93) which is a key factor to making a lasting and great film. If you have a sensitive disposition and cry fairly easily and are looking for a good cry, then this is the movie for you. It’s everything sentimental that it’s supposed to be without the great substance that one would hope. It’s a 3 star movie disguised as an Oscar contender. It pushed every correct button to garner the nominations that it got. It’s a soft fluffy piece that will appeal to house wives with 2.5 kids but if you are looking for a solid well made movie that will leave a lasting impression this is not for you.